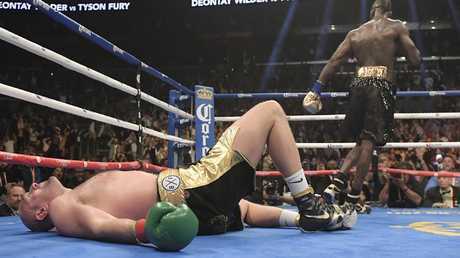 Fury, 30, looked to have secured another famous world championship win on away soil as he outboxed Wilder for much of their WBC heavyweight title fight last weekend, The Sun reports. 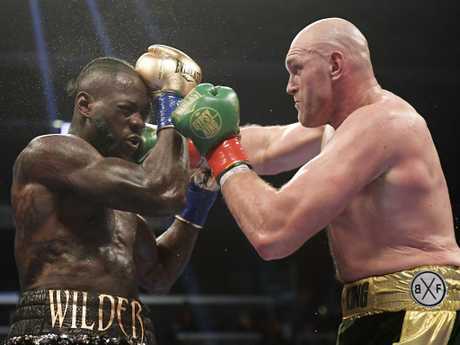 However, in the final round Wilder, 33, sent Fury crashing down to the canvas with a clubbing left hook with just two minutes remaining. Astonishingly, Fury would beat referee Jack Reiss' count as he rose to his feet by the count of nine - and went on to finish the round on top. Many thought Tyson Fury wouldn’t get up. But Warren claimed on the BBC Costello and Bunce podcast that Fury could have got to his feet quicker - but he believed his legs would have betrayed him, leaving the ref no choice but to stop the fight. Warren said: "He showed what he was made of, even the knockdown, I thought it was all over in that 12th round. "Afterwards we spoke about it and he said the reason he didn't get up so quickly - he said he couldn't quite feel his legs. "He didn't want to get up and stand on wobbly legs and the referee stops it. Fury waited until the last moment to get up. "The referee made it quite clear before the fight, he went to both fighters' dressing rooms and said after the count of 10 - and he got up at nine - after the fighters get up they will be told to walk three paces to their right and left, and back again. "Both of them had their instructions and that's what Tyson did - he had the presence of mind to do that." 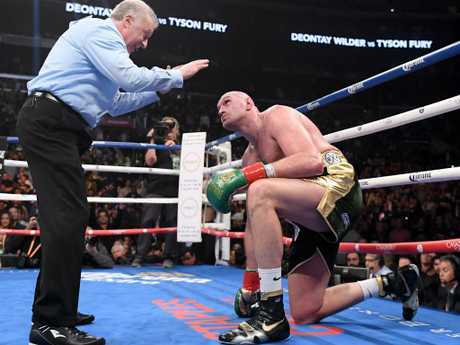 Despite Fury's amazing recovery and excellent performance before that, his efforts were only enough to see him receive a split decision draw. The American referee Reiss told SiriusXM Boxing that he had always been told to count a fighter out in a championship bout - and refuted claims he had stalled the 10 count. "I've always been taught to count a champion out and I wanted to give him every opportunity. "I took my time - not that I stalled the count like these knuckleheads are saying, just patient - and I went down to make sure what I was doing was correct, because I want to do what's best for boxing." The judges couldn’t split the heavyweights. Warren also claimed the WBC is set to order a rematch between Fury and Wilder following their split decision draw. Warren said: "The WBC at the moment are putting it before their board of governors, I would assume and I will expect that they will order the rematch. "Both parties want the fight - we will do what we've got to do, everybody wants to see the rematch and I'm sure it will happen, and it happens to everybody's agenda. "The thing about it all is that Tyson wants to fight in the UK - he felt cheated out there (in the US) and he was cheated. "That's really our agenda at the moment, to try get the fight in the UK. That fight out in the States was the biggest pay-per-view fight I think in the last 15 or 16 years for the heavyweight division. "It's a big fight, it's the biggest fight out there." However, Joshua's promoter Eddie Hearn had previously said the winner between this month's rematch between Dillian Whyte and Dereck Chisora would most likely be in line to face the Brit next. Warren said: "On the other side on the table I'm listening to stuff about Anthony Joshua fighting the winner of Dillian Whyte, who he's already beat in seven rounds or Dereck Chisora, who Tyson has beaten and has only one one in eight of his significant fights. "And then they're talking about fighting Wilder, well why didn't they take the $50 million to fight Wilder in the first place? "They didn't do it, all these things you hear is justy absolute rubbish."